Almost 57% of likely voters responded “yes.” Just over 43% said they did not. The least amount of support for the idea was in the Fifth District, which is West Knox County and the Town of Farragut. 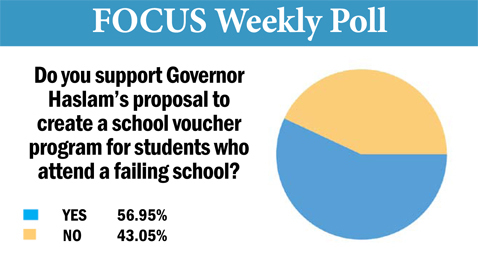 Only 36.36% of respondents said they supported vouchers for students at a failing school. A whopping 63.64% percent said they did not support the idea. Of course there are no failing schools inside the Fifth District and it is the most affluent district in Knox County. In contrast, almost 74% of respondents in the Third District said they support vouchers for students at a failing school. The Third District is inside the City of Knoxville goes from Norwood out to Cedar Bluff. More men than women support the idea; men support the idea of providing students at failing schools with vouchers, with just over 62% saying they like the idea. Only roughly 54% of women say they support vouchers for school children at failing schools.